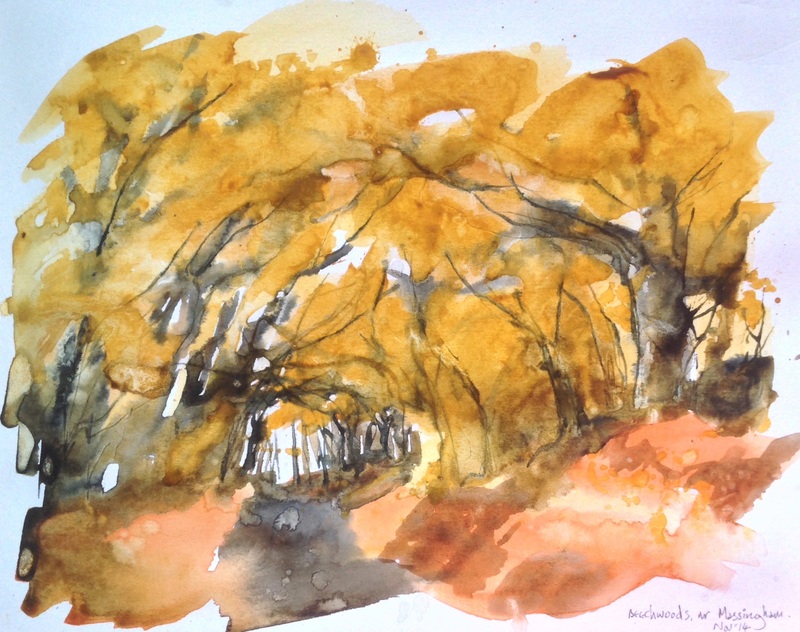 This entry was posted in art, Norfolk, sketching and tagged art, autumn, beech woods, coast, coastal, fall, farmland, fields, golden, norfolk, painting, plein air, reed beds, sketches, tidal, watercolour, workbook by mari french. Bookmark the permalink. 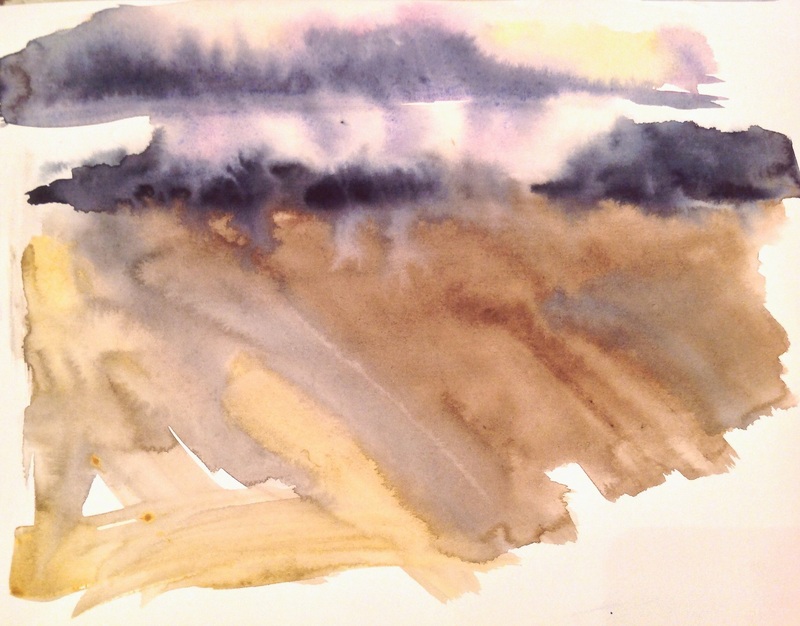 Love your work – captures the (at times) watery, big skies of Norfolk. Very atmospheric! A quick question – what make of sketchbooks do you use? I always want to take lots of pencils, brushes, paints (just in case.????) How do you limit yourself – what works best for you? Apologies – that’s two questions! Thanks very much Carolyn! I usually use ‘Seawhite’ sketchbooks these days as they do a square format which I prefer and, although not watercolour paper, will take a fair amount of washes without tearing. I got the sketchbook in the photo though, from a local art shop, nice format but paper not as good as the Seawhite. 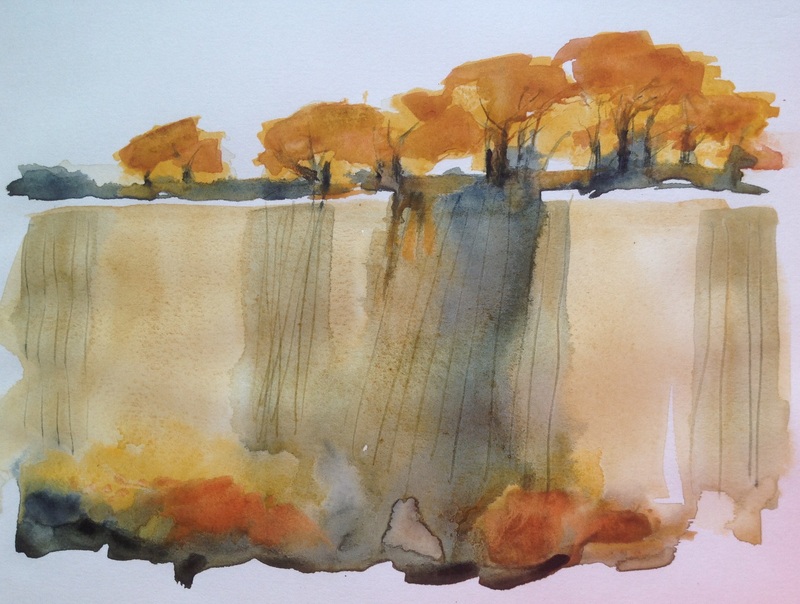 (The other sketchbook I’ve used quite a lot in the past is a Moleskine watercolour sketchbook – landscape format). 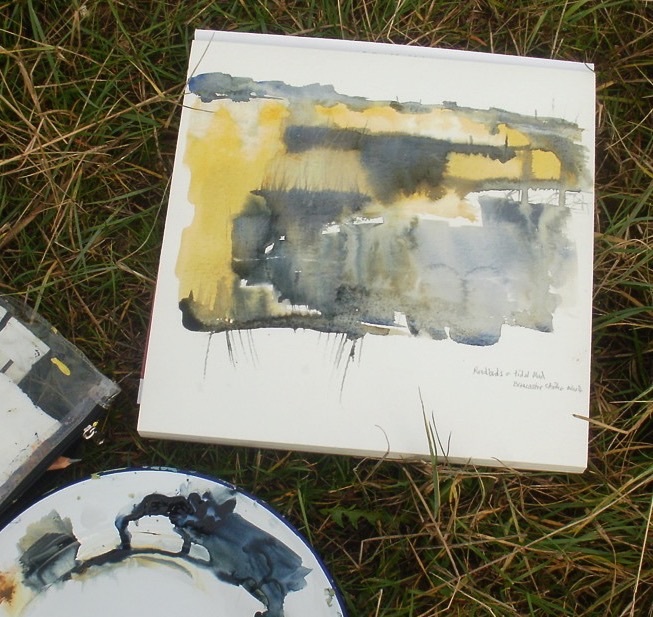 I only take out what will fit in my rucksack – small watercolour sketch box, collapsible water carrier, plus sometimes an enamel plate if I want a larger palette. I also use a small zip up plastic wallet in which I keep a selection of fave other useful media e.g. Inktense sticks, ink pencils, graphite pencil, bits of blotting paper. Brushes: My golden rule is I use a 1″ flat acrylic brush (System 3) for almost all my watercolour sketching, even small sketches, as I find it stops me getting bogged down in detail, plus it’s fast for covering landscape areas.I also have a small flat acrylic brush but v rarely use it. A small towel for sitting on rocks etc. Think that’s it! Hope it helps! Thanks! I must try to be more disciplined & not try to take the “kitchen sink” – especially when I am walking any distance! Thank you again for taking the time to reply with helpful advice! Keep up the fantastic work ! !